What does a cremation sound like? Most of us in the Western world would be hard-pressed to answer that question. Cremation is something that takes place out of sight, and for most, out of mind. The fiery furnaces are lit, the body is rolled in and a few hours later, ashes to ashes, dust to dust. It is sterile, it is discreet and it is solitary. But if you could hear it, what would it sound like? If you could see it, what would it look like? And, indeed, what would it smell like? Seattle visual and sound artist Jesse Paul Miller and his wife Linda Peschong, a photographer, visited southeast Asia in the early part of 2008. Planning to stay only until June, they were able to extend their stay in Bali an extra month. 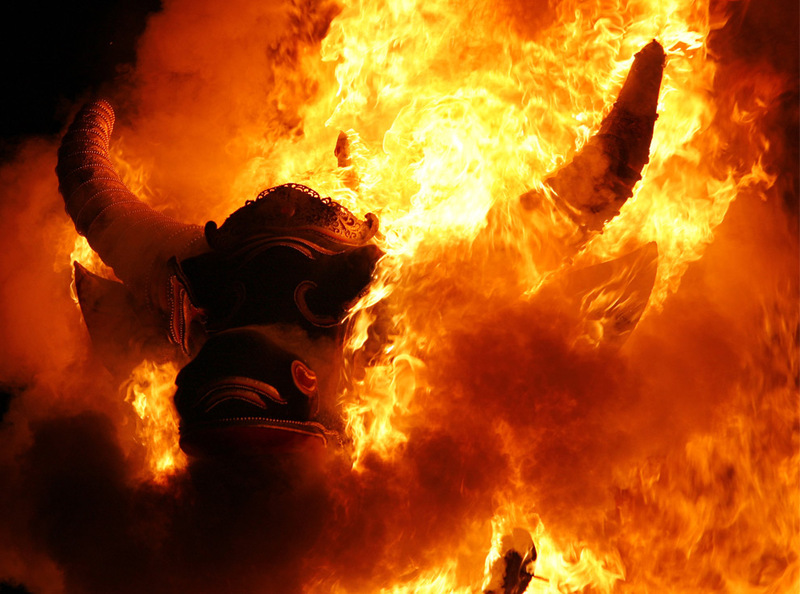 July in Bali is cremation season. And to their delight, the largest of such public ceremonies involving cremation of royal family members was about to begin. Through field recordings taken by Jesse, you can experience the aural intensity of the cremation ceremony itself. The rich, sonic landscape features crowd noises, gamelans, drums and chanting as the procession takes place. Have a listen! Posted by Kim in Afterlife, cremation, Grief + Mourning and tagged anthropology. Bookmark the permalink.